Jumping pad for 3 m in diameter trampoline with 64 springs of 180 mm. 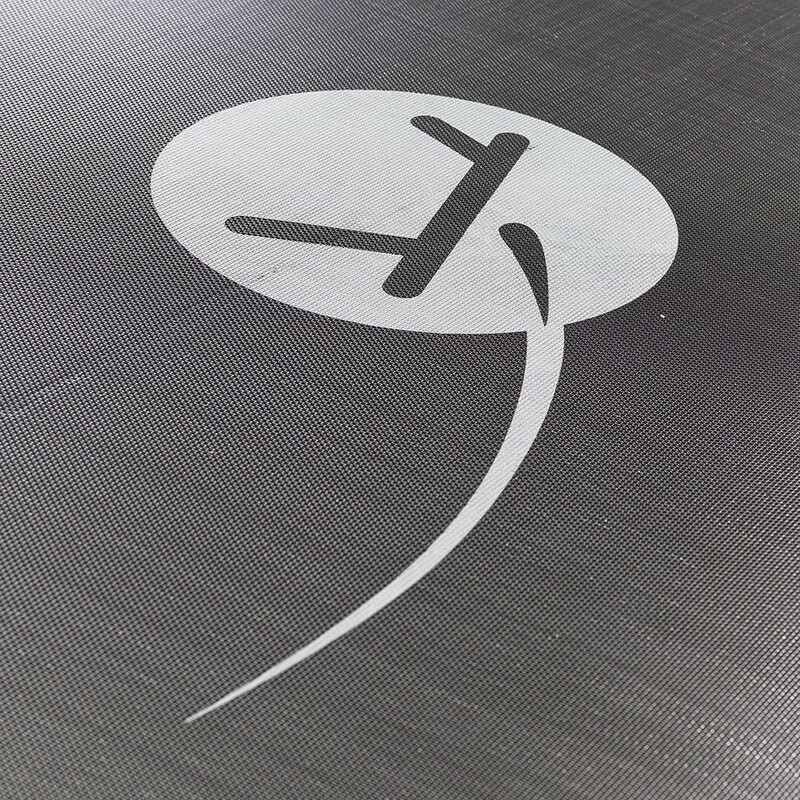 If your jumping mat is too damaged, we would recommend changing it, so that it can once again be used safely. This product is designed for 3.05 m in diameter trampolines which use 60 springs of 180 mm in length whether you bought it at France Trampoline or not. 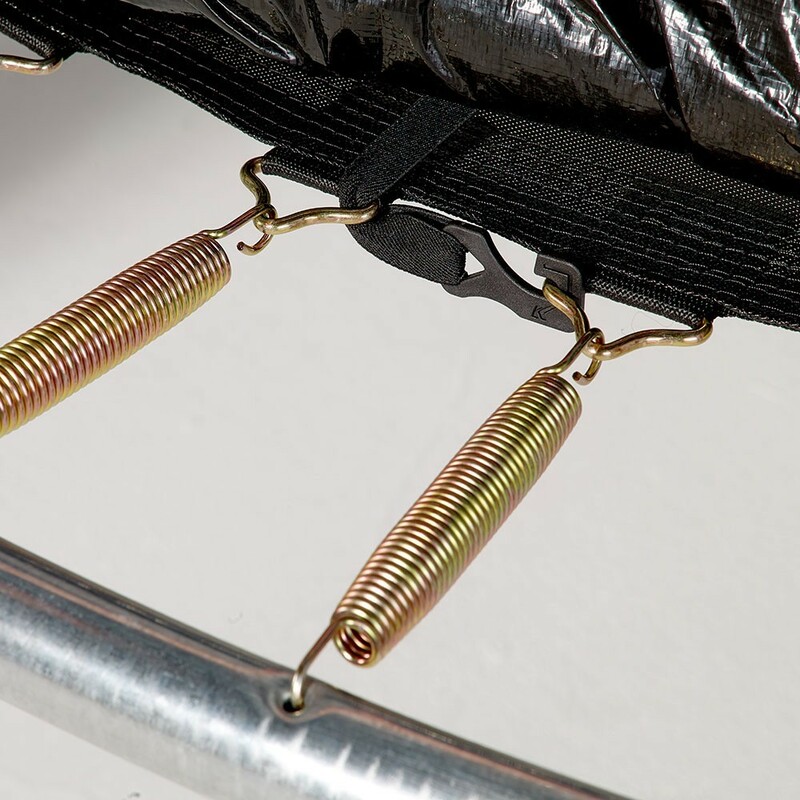 - This product has been designed to be adapted to the Jump’Up 300 trampolines which uses 64 springs of 180 mm in length. 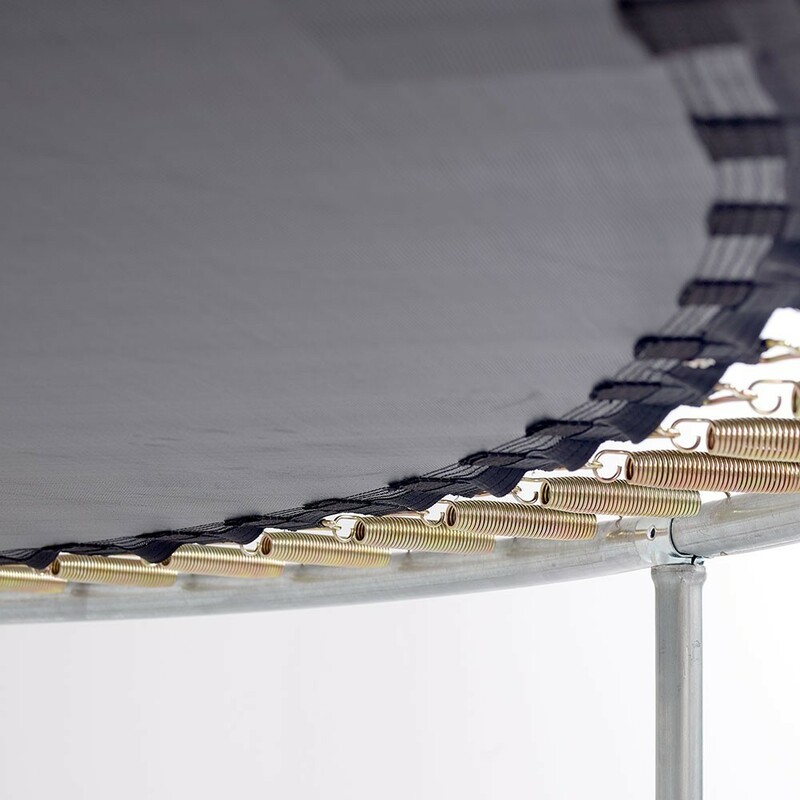 It can also be used on other trampolines with the three following characteristics: 3.05 m in diameter trampoline with 64 springs of 180 mm. Make sure you ask someone to help you measure the exterior diameter of your trampoline accurately. 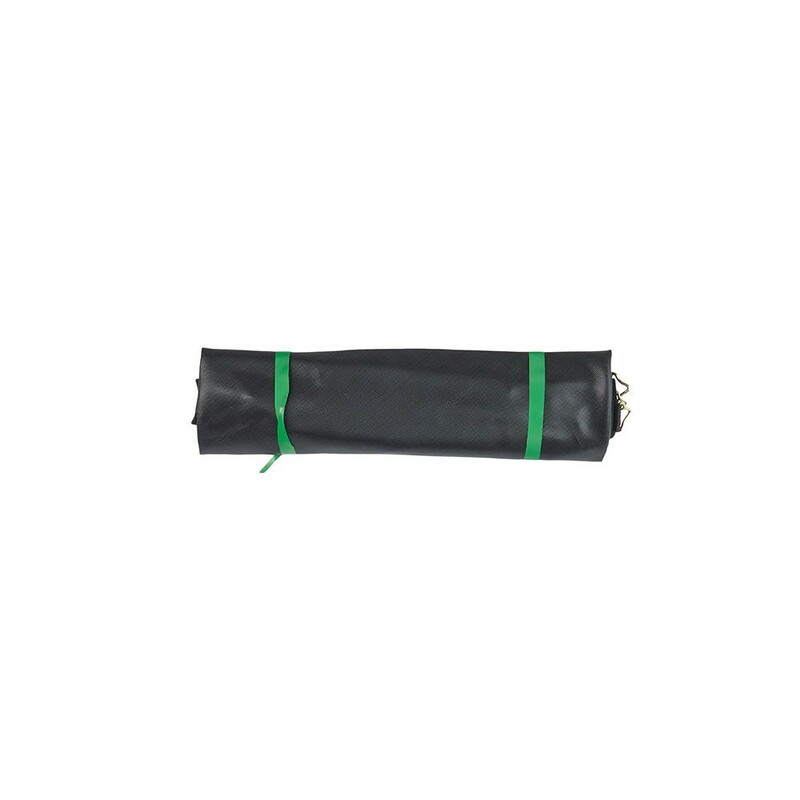 - This product has a mesh jumping mat, which is highly tear-resistant. All of our products are UV-protected to improve their durability and to allow you to leave them outside all year round without worrying about sun damage. 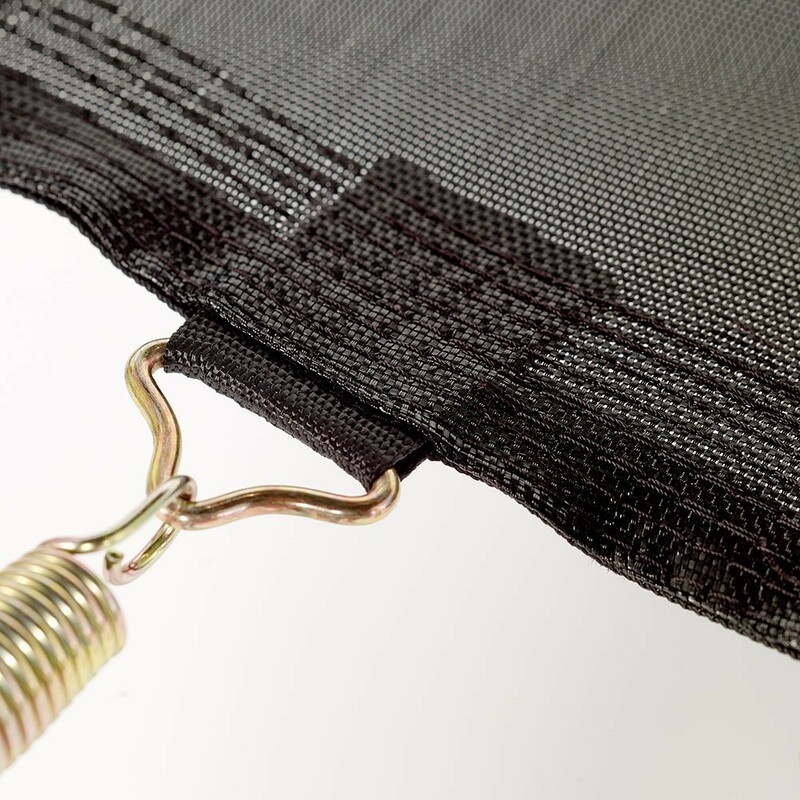 - All of our jumping pads have 8 rows of stitches which ensures extra strength. A reinforcement strip is then added to strengthen the product and to keep the hot-dip galvanised, rust-resistant steel rings in place. 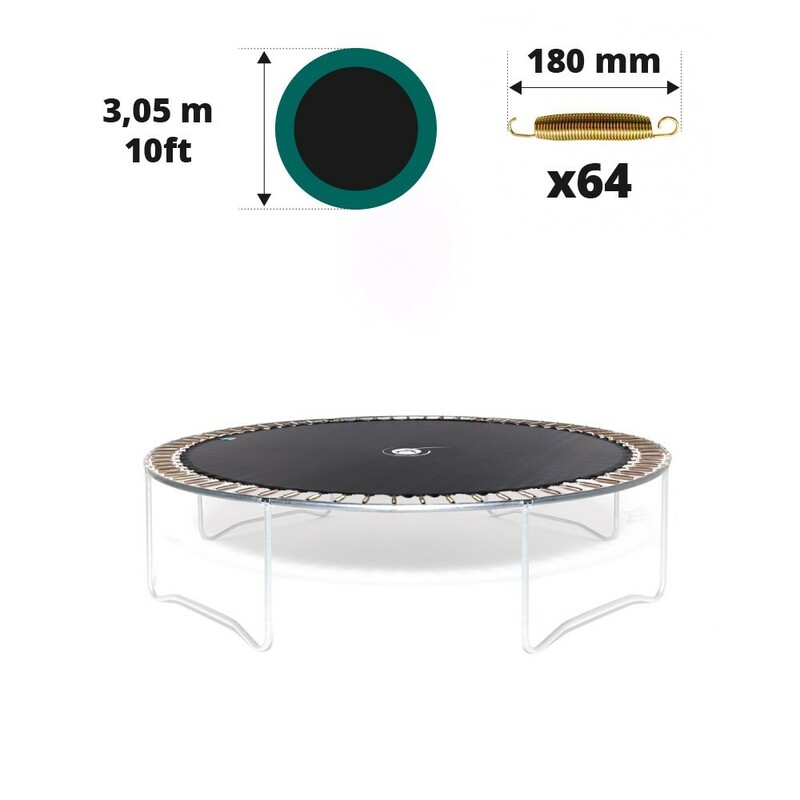 - Your trampoline should have 64 springs of 180 mm in length, as this jumping pad is adapted to this size of trampoline. Make sure you measure your springs carefully. You can remove a spring by carefully pressing down in the centre of the spring. You can then measure it from hook to hook. Il n'y a pas longtemps que je l'ai installé mais mes filles le trouve très bien, on verra dans quelques temps.Le produit a l'air très résistant. Il passe parfaitement sur mon vieux trampoline ! Grâce au bon conseil du vendeur !! Produit conforme au besoin. Livraison très rapide.